Our school does a big talent show every year. Here’s some photos from the rehearsals and the show. 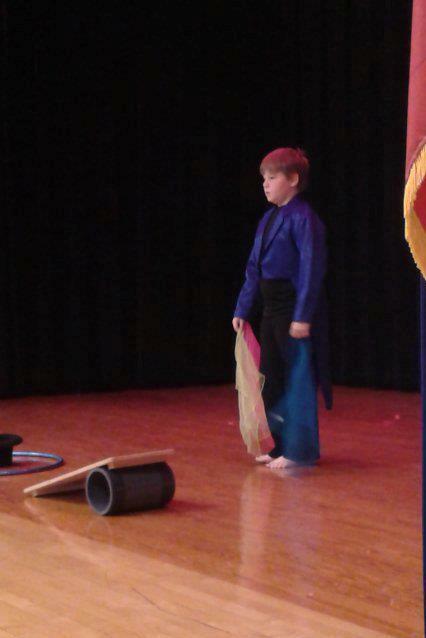 I was the very last performer, and my little brother Cassen nearly fell asleep waiting for me to perform. 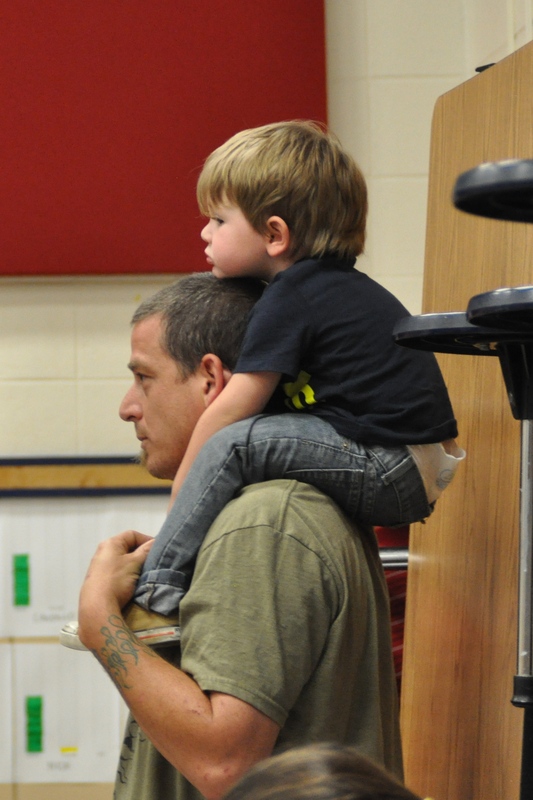 I was very happy that my dad and Cassen and Cassen’s mom Misty and his brother Caleb all came. So did my grandparents, but they always show up whenever I have a show. For this one, I used Gonna Fly Now (the theme from Rocky) as my music. I stayed on the rolla-bolla and juggled balls, and silks, spun the hula hoop on my arm, and climbed through the hula hoop. It was a lot of fun. 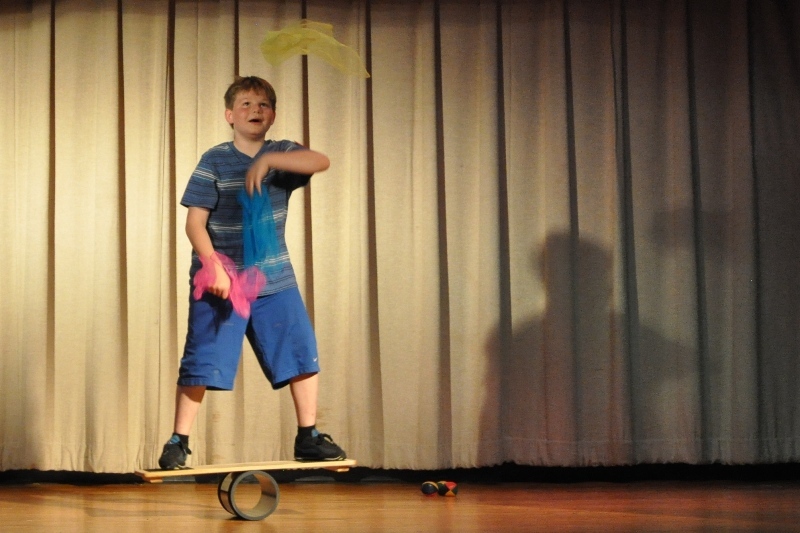 Nobody at school had ever seen me on the rolla-bolla before, but some of them had seen me practicing my juggling in my front yard. We live right by the school. So a lot of them were surprised. 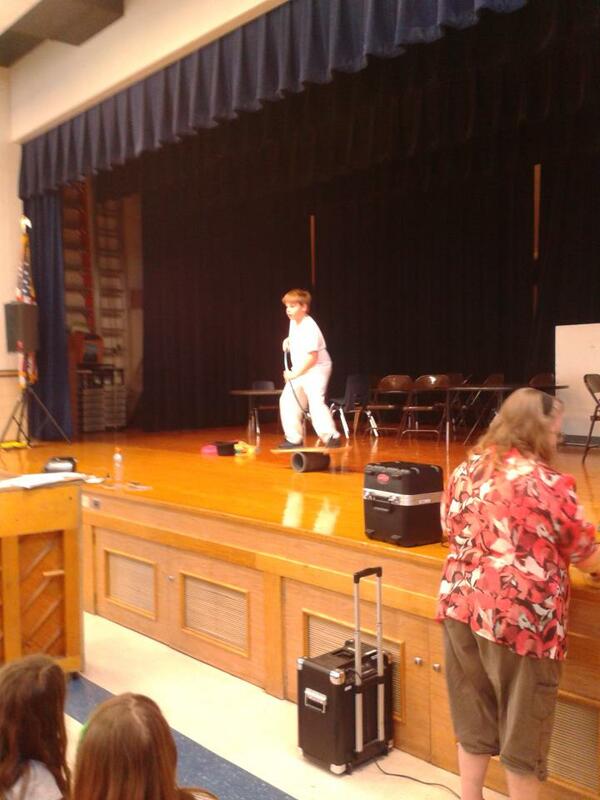 Now another kid from my school has started taking classes at the Lone Star Circus. This is me on stage waiting for the music to start. The school talent show was just a week before Cirque Mon Amour, so I wore the ringmaster’s jacket made for the circus. 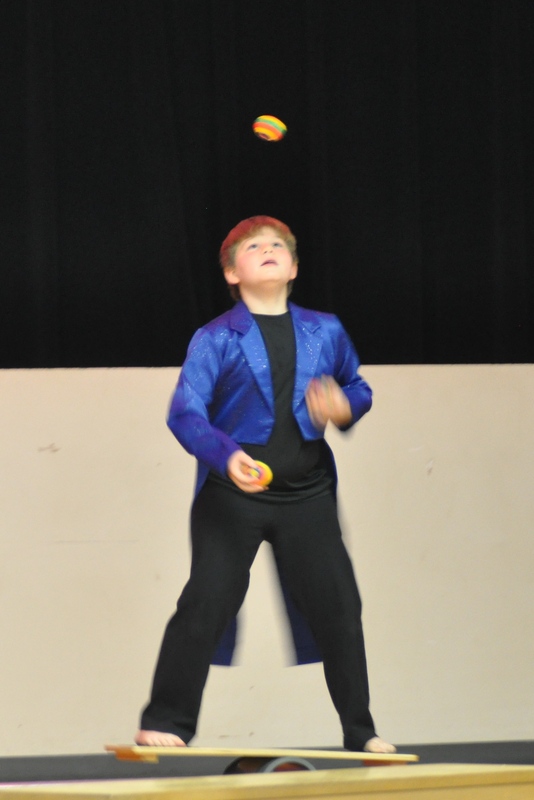 It’s not easy to juggle in a tuxedo jacket, so it was good practice. This is me juggling 3 balls while balancing on the rolla-bolla. This is my dad, Scott Badgers, and my little brother Cassen. I have another little brother named Austin, and an older sister named Krystal. 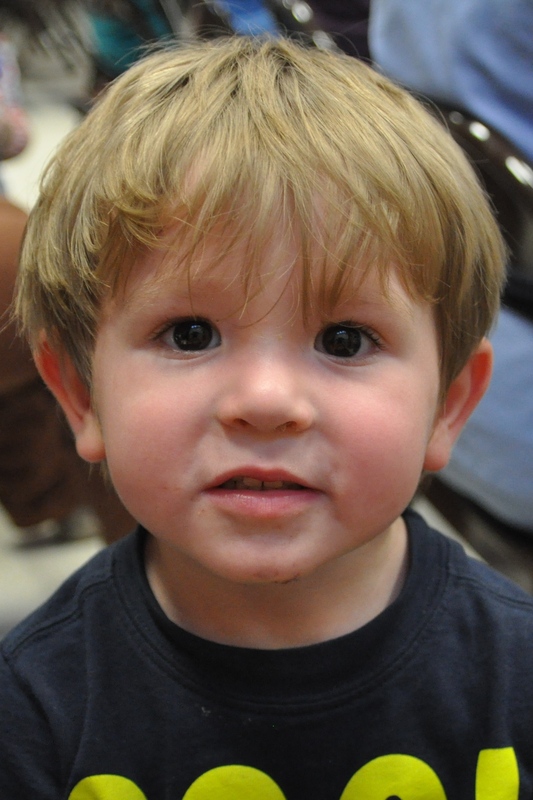 This is my littlest brother, Cassen. People say he looks like me. Do you think so?